The labrum is a type of shoulder cartilage. It is a rubbery substance that forms a ring around the shoulder. In addition, one of the biceps tendons begins on the labrum. That is why it is often difficult to determine if the source of pain is the bicep, labrum, or both. The labrum can be damaged from trauma, dislocation, or regular wear and tear. The tears can cause pain, clicking, popping, locking, or can cause the shoulder to become unstable (dislocate or feel like it's going to dislocate). Some people report that they can't participate in previous activities. In the younger population, it is almost always torn when the shoulder dislocates. It can lead to instability (loose, painful shoulder). The torn labrum can also interfere with shoulder motion. This is problematic in athletes like pitchers, volleyball players, and tennis players, where overhead motions make up a large part of their activities. However, it can also cause problems for anyone engaged in occupations where overhead activities are common, like mechanics, electricians, HVAC technicians, construction workers, to name a few. Labral tears are frequently seen on an MRI (magnetic resonance imaging). They become increasingly common as we age. When labral tears are seen in the younger age groups it is more likely to be the source of the problem. However, it is not usually the cause of symptoms in an older population. The decision on how to treat a labral tear depends on a number of factors. Age and activity level are particularly important in labral injuries. 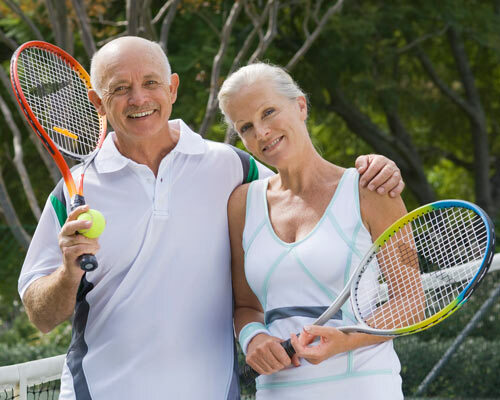 Most people are able to modify their activities and go through a therapy program and avoid surgery. Young athletes, overhead athletes, and patients with unstable shoulders (dislocations, feelings of instability) may require surgery. In addition, anyone with persistent symptoms and those who can't perform job related functions or desired activities may require surgery. The surgery is done arthroscopically through 3-5 small incisions and patients go home the same day.